For the first time in the event’s history a paratriathlete will take on the Lake Wanaka triathlon tomorrow on a course recognised as one of the toughest in the world. Nick Ruane, 39, from Wellington joins more than 1,200 other athletes tackling the Lake Wanaka Half – a 1.9km swim, 90km bike and 21.1km half-marathon run held simultaneously with the Challenge Wanaka long-distance event – as part of his build-up to qualify for the Rio 2016 Paralympic Games where paratriathlon will debut. Mr Ruane suffered a stroke aged three that caused complete paralysis to the left side of his body and as a result of which he also developed epilepsy. After becoming in his own words ‘overweight, unfit and unhealthy’ due to the loneliness and frustration he felt as a child, he took the decision to turn his life around and challenged himself to compete in triathlon, perhaps the ultimate sporting test of mental and physical toughness. Mr Ruane, who works in Parliament for Mojo Mathers MP, said competing in Wanaka has been on his wish list for some time. “I really wanted to come down and do this race but things haven’t fallen into place until this year. This is a tough course, you can’t get away from that, so I just want to feel good getting out of the water and then have a good, solid bike. I feel good on the run anyway – it’s my best discipline,” he said. He said this year is all about getting a good base with the Rio Paralympics in 2016 his big focus. Those achievements include becoming the first para athlete to complete a long distance triathlon in New Zealand (Taupo, 2011) and the only New Zealand para athlete to bring home a medal at the long distance form of the sport – he took silver at the 2011 ITU Long Distance World Championships in Las Vegas, USA. He also won the 2011/12 Triathlon NZ Disabled Athlete Performance of the Year and finished 7th in the 2012 Paratriathlon World Championships Grand Final in Auckland. Part of his ambition to compete at Rio is a desire to raise the profile of paratriathlon. “It’s the kind of sport that sits under the radar. That’s really why I got involved to show that paratriathletes can get out there and do crazy things. I started off just running and cycling but anyone can do that so I thought let’s step it up and do something that really sets you a part. Triathlon is a great community and competing puts you out there in front of people. For others with a disability that’s really important,” he said. 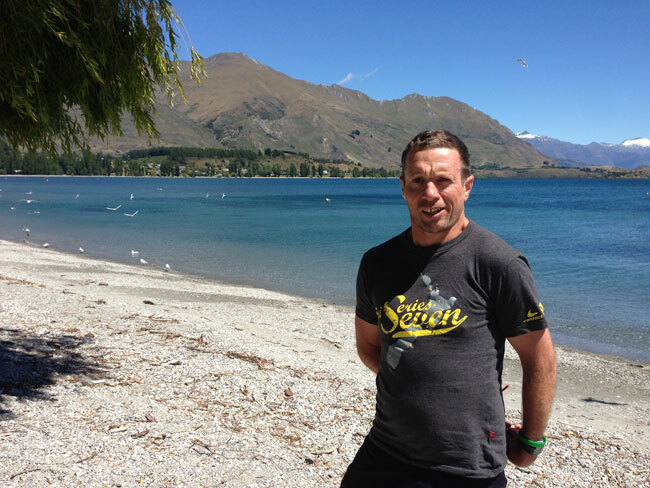 After Wanaka, Mr Ruane’s next event is the NZ Para-Triathlon Championships in Wellington on 8 March followed by TriAbility on 15 March, an event with which he’s directly involved. Designed for everyone, it especially encourages participation by people with disabilities. Challenge Wanaka Triathlon Festival attracts in excess of 2,000 athletes over a multi-day celebration of sport involving all ages and abilities. The flagship event, Challenge Wanaka long distance triathlon (3.8km/180km/42.2km) is part of the renowned Challenge Family global series of triathlons which features 23 races in 14 countries, including the world’s largest long distance triathlon, Challenge Roth in Germany.